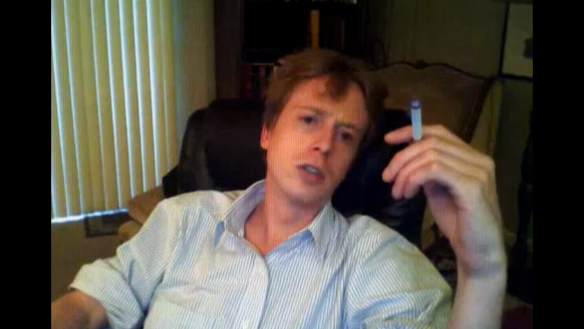 Anonymous hacker Barrett Brown was arrested by the FBI last night, his apartment raided while he was in the middle of a live TinyChat session. For those that may not be familiar with Brown, he came to some notoriety last year for allegedly mounting an operation against the Zeta drug cartel in Mexico after they had kidnapped a member of Anonymous. Brown claimed to hold the names of 75 Zeta collaborators, which he threatened to release to the press unless the Anon member was set free. Brown is the founder of Project PM and has worked closely with the Anonymous hacker collective on several past operations. This is not the first time that Barrett Brown’s home has been raided. Six months ago the FBI came knocking on Brown’s door and confiscated his laptop, but no charges were filed against him. That incident followed the arrest of then-LulzSec leader Sabu, or rather Hector Xavier Monsegur, who then turned informant in exchange for leniency, although it’s also been suggested that Sabu was working for the FBI prior to his arrest, which then served as a cover. The arrest came just hours after the activist published a video in which he threatened to destroy FBI agent Robert Smith. The video came in response of the fact that, apparently, his mother was accused of obstruction of justice and threatened. Brown has often denied acting as a spokesperson for Anonymous in any officially capacity, as the amorphous group has no such official structure. Nonetheless, his knowledge of many of the group’s activities has often left many with such an impression. You can see his details on Dallas County Online Jail Search website. According to those who follow Brown, his behavior had become erratic as of late, as evident in the last video he posted to his YouTube account. Anonymous Hackers releases creditcard details of 13 FBI agents in retaliation for the arrest of Barrett Brown. "We didn't plan this #FFF. It just happened...." and continue with "we would be dropping an undeterminate amount of credit cards potentially belonging to govt officials (just and only just, underterminately probable) potentially all around of undeterminate number ofcarding forums, black markets and other underground places."